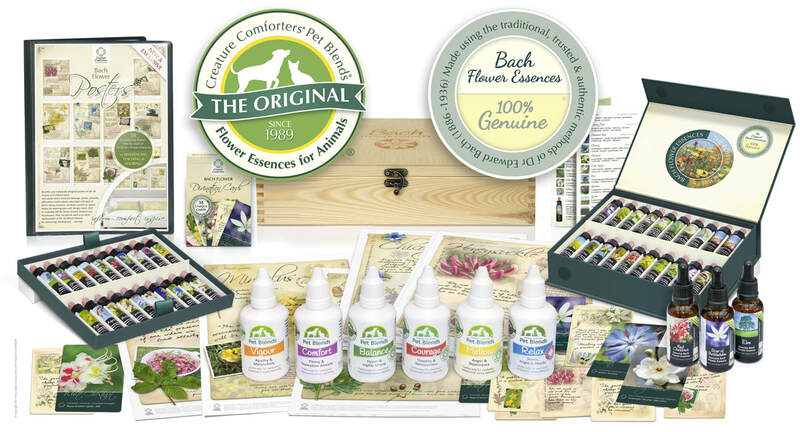 Home of The Original Pet Blends® and Genuine Bach Flower Essences. Gentle help for emotional & behavioural problems, naturally. Helping people & animals worldwide for over 35 years. Gentle help for the 6 key emotional and behavioural problems experienced by animals, naturally. Simply add drops to food, water or treats. Gentle help for people's transient emotional problems & used around the world for over 80 years. Our authentic Bach Flower Essences are made to the traditional 1930's methods of Dr Edward Bach - direct from the 'Mother Essence'. Gentle help for emotional & behavioural problems, naturally. "We highly recommend your Pet Blends® ... Quite amazing!" I strongly recommend buying from Creature Comforters. I am beyond satisfied. The set arrived in a perfect condition. The authenticity of Bach Flowers must come from England. I am a very happy customer and will be buying from them in the future!" 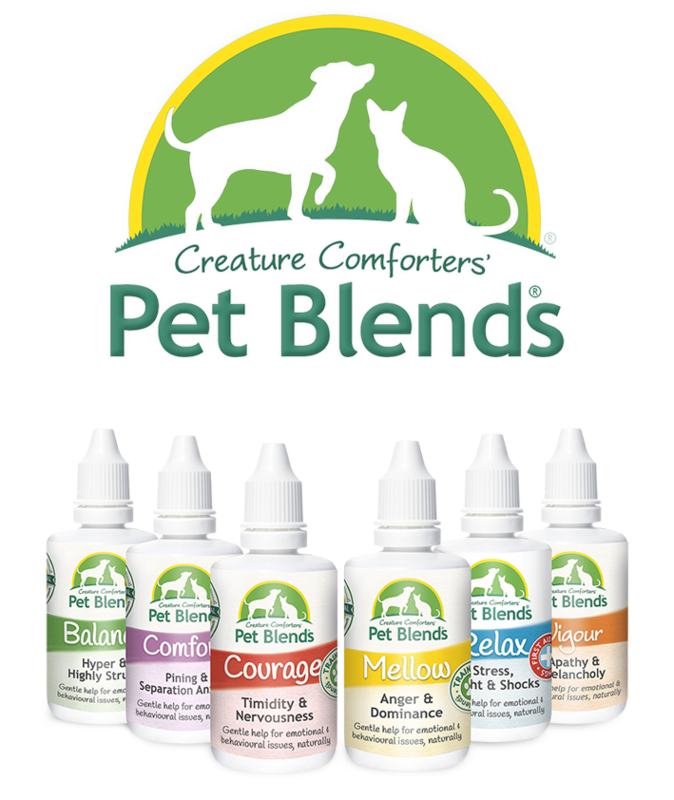 "The Pet Blends® are an excellent complementary product. ​I use them for managing behavioural changes and treating ageing animals. I recommend the essences for behavioural therapy"
"Wonderful customer service, Fantastic price, beautiful product, low cost to ship." Amazing results! Recommend Pet Blends® to anyone with anxious pets ... Great product. Thank you so much." "Amazing products that work. Highly recommended." 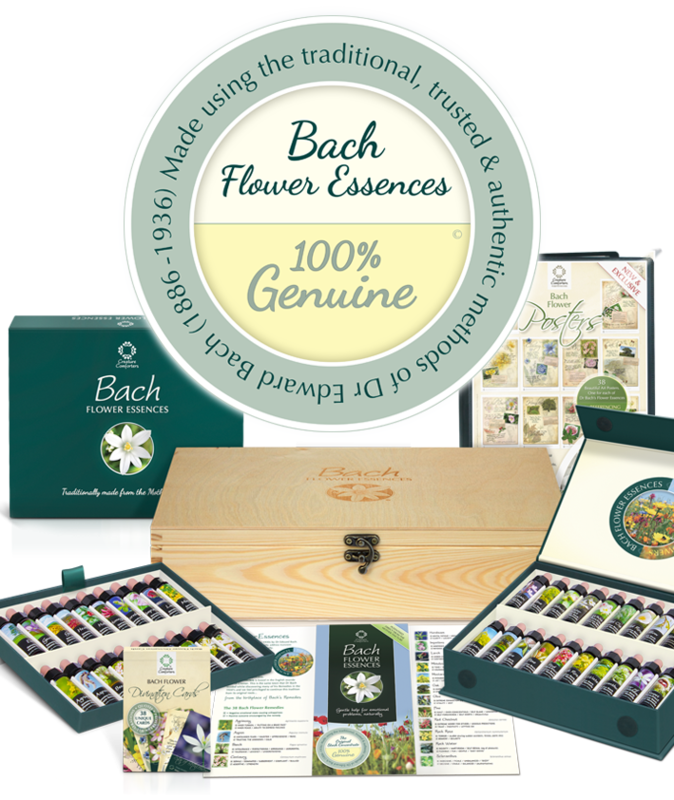 "Bach Flower Remedy Set is Outstanding! It is more than what I expected. Great quality and nice packaging. I recommend this." "We cannot speak highly enough of the Pet Blends®. We find your products incredibly helpful when working with dog behaviour and anxiety issues and always with excellent results"
"I highly recommend this lovely company. You will get the best service you can imagine." "You will be pleased to know that Millie [horse] has now got the title European Ridden Mare Champion ... she won the Gold Medal for her country Great Britain. What an achievement to represent your country but to win is just fantastic. Many, many thanks to you." "Posters look and are magnificent ... fantastic ... and my girlfriend is in love with them! Thanks for such a great product!" "Your Flower Essence Solar Blends for People are very effective. I have recommended them to all my friends and family in Germany and Mexico."